Having healthy skin requires the right type of care—from adequate rest, exercise, nutrition, down to using the right products you use on it. If you’re having problems with your skin, the first thing to check in your lifestyle is whether you are using the right bath and body care items. 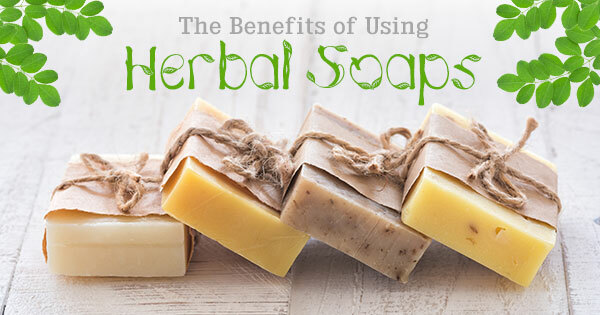 Herbal soaps boast of delivering just what your skin needs, minus the hassles and damages of chemicals. Take Moringa-O2 Herbal Soap for one. Combining potent ingredients of Olive Oil, Omega and the sensational Moringa or Malunggay, you get a list of benefits, summarized into the following. Moringa-O2 Herbal Soap can be trusted to perform the basic function of soap, and that is to cleanse and refresh. On top of that, Moringa-O2 Herbal Soap is anti-bacterial and anti-acne, so you can trust to see less of breakouts, pimples and blackheads. Malunggay in Moringa-O2 Herbal Soap thrives in tocopherols (Vitamin E) which stimulate and optimize cell regeneration and skin renewal. Each bar of soap is rich in antioxidants that rid of toxins that fast-track skin aging. Skin experts say that the secret to looking young and fighting off some of the signs of skin aging is keeping your skin moisturized. In the case of Moringa-O2 Herbal Soap, Malunggay is known to improve skin elasticity and suppleness; Omega or Sunflower oil works on the side to minimize lines and wrinkles, and Olive Oil penetrates and moisturizes the deeper layers of skin. Skin is left soft and supple. Again, thanks to its Malunggay content, Moringa-O2 Herbal Soap eases and soothes itch, rashes and other types of skin irritation. What we often forget about our skin is that it’s a living and breathing part of our body. Give it attention and the proper TLC it needs, and it should be as healthy and glowing as you want it to be. For your skin and pampering requirements, Moringa-O2 hair and skin care can back you up! Have sensitive skin? There’s a proper skin care regimen for that!